Why is Diwali known as the festival of lights? Why is Diwali called the festival of lights? Why is Diwali referred to as the festival of lights? As the world is the witness of the celebration of Diwali. The sound of crackers and the shining of light itself proves the celebration of Diwali. The happiness and love are seen everywhere and by everyone. The life of Hindu is more respectable than other religion of people. Many sorrow and happiness are faced by the people. But everyone is struggling for happiness only. To make the life more comfortable and easier, people, try several ideas, works, and technology. But in the festival, people itself becomes happiness. It is due to the easiness of all the sorrow of the people. Different coloring lights and the environmental decoration change the mind intention and thought. 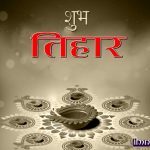 People forget all the past memory wish were dusty and throws all the bad thoughts on the auspicious occasion of Diwali. No, any lion will be the king of the forest if he has not the strength to makes and manages in the forest. Lion has such power and is able to lead the group and all the animals of the forest. Related to man thoughts, are also the same in nature, is behave also like the human beings if he has power. To make the Diwali auspicious festival, you have to plan all the things that you want to do in Diwali. To make indefinite fun, the person should have first been themselves prepared. What is the Festival of Lights? 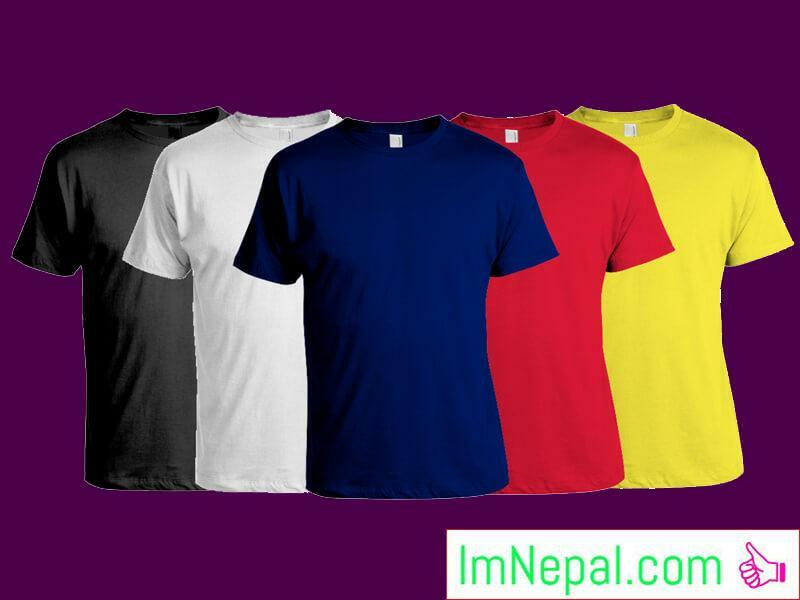 Diwali or Deepawali is India’s and Nepal’s greatest and most important festival of the year. Deepawali or Dewali means a chain or accumulation of lamps. As you all know it is the most colorful, religious and loveliest festivals of the Hindus. The whole nation celebrated this festival with huge joy and devotion. As the Christmas is important for Christians likewise Deepawali or Diwali is important for Hindus. Diwali is celebrated in October or November every year with full energy and joy. It is surely the biggest and the brightest festivals of all the Hindu festivals. This festival of lights, where millions of lights glow in every house which literally lights up the whole nation with its wisdom and dazzles all with its joy. 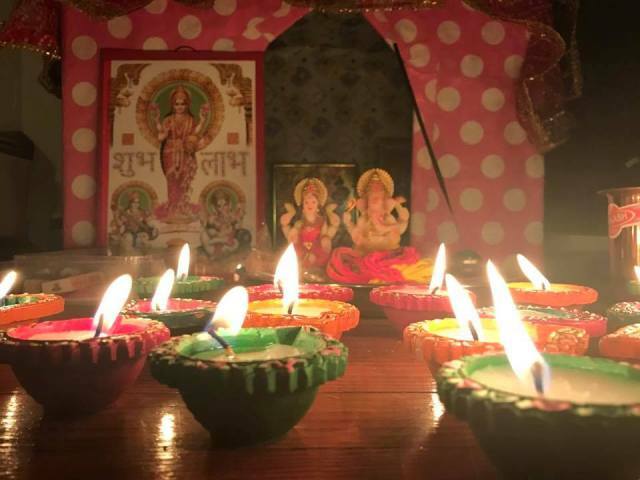 Over the generation, Diwali has been a national festival and is enjoyed by most Indians indifferent of faith.Well, historically, the origin of Diwali can be traced back to the ancient India. But there are various stories behind this huge celebration. Bengali people believed that this festival is dedicated to the worship of Mother Goddess Kali who is the dark Goddess of the strength. Lord Ganesha (the elephant-headed God. Whereas it is also dedicated to the return of Lord Rama along with Sita and Lakshman from their fourteen-year-long separations from home and conquer the demon-king Ravana. Rama was the king of Ayodhya, so in the name of legendary victory and joyous celebration of the return of their king, the capital of Rama has lightened up the kingdom with oil lamps and firecrackers. Among all the clarification, the victory of good over evil is the one common thread. All things can be only managed if all things are managed properly. Like as the Diwali, it’s also become a great chance to celebrate Diwali with your family members or with your friend’s anyone else. Diwali has different meaning and is worshiped by different names that may be Lakshmi puja due to, the Lakshmi is worshiped in this festival. Someone also called it Diwali and lights festival. Let’s know the vast meaning about the Diwali that why it is called the festivals of lights. If you see the society or view of the market in Diwali, you will fall in love with Diwali. The shining environment, hugging people and letting of different lights make you mad in Diwali. Its lightness goes deeper in your heart by pointing. The love of people is also not filled with proudness, they all behave simply with all human beings. a person looks busy in burning candles and tuki ( oil lamps ). The main option of lighting candles is to remove the darkness of the society. only the lights, different lights are shown brightly over the home. People who are poor also light the oil lamps because it is the belief that goddess Lakshmi goes or make her sitting place only in that home, where there is full lights service. So there also shown competition between poor and richer person, between neighbor. The lights more giving up the identity of the buildings and image of the house owner. Thus, the lights of whose home is more and are more brightly, then that house owner is said as the great and richest person of the society. As the Diwali is itself full spreading of lights and day, it is treated and called respectively as the festival of lights. Every homes and shop are decorated with all new types of lights and color also in the shop, it is seen that to do pandit puja, they have managed all the material needed for puja. Everywhere there is full of the laughter and happiness which is seemed and deemed only in the occasion of Diwali. The festival of lights has all the different mystery which makes the Hindu religion persons keep following. The sense and significance of burning the lights and color by the people are the great achievements of their life. This festival also marks the love between the people which is share among each other and person to person. It is also believed that on this very Diwali day, the Goddess of wealth, Lakshmi rose up from the ocean. The Hindu scriptures tell us that long long ago both Devas (gods) and Asuras (demons) were mortal. They had to die some time or other, like us. But they wanted to live forever. So they churned the ocean to seek Amrita, the nectar of immortality (an event mentioned in the Hindu scriptures as “Samudra-Manthan”), during which many divine objects came up. Prime among these was Goddess Lakshmi, the daughter of the king of the milky ocean, who arose on the new moon day (Amavasya) of the Kartik month. That very night, Lord Vishnu married her. Brilliant lamps were illuminated and placed in rows to mark this holy occasion. This event is supposed to have given rise to an annual celebration at the same time each year. Even today, Hindus celebrate the birth of the goddess Lakshmi and her marriage to Lord Vishnu on Diwali and seek her blessings for the coming year. It has many stories to describe and increase the reason to celebrate and say Diwali as the colorful festival. Man does not get the lights of knowledge without doing tap Asia, similarly, they don’t make participation in Diwali celebration. It’s the truth and the story of dashrath elder son king of Ayodhya Rama, who was also called the’’mrayadaprusottam ‘’. He was the beloved of and very respectable king of Ayodhya. She respects him as the figures of god and is true also that he borns as the form in man but he is the god. The life Ram was full of the thorns due to not having the king happiness. When the time comes to make king after the father chose to their elder son Ram, the servant of kaiikei the small mother of Rama and also the mother of Bharat convince kaiikei to demand their wish to fulfilled by king dashrath that he contract with you in the past. When every thing is ready, the kaikkei his husband to fulfill their wish and the wish was i. to make her son Bharat the king of Ayodhya and ii. To sent Rama in the forest for fourteen years. The currents occur in the heart of king dashrath. Every plan becomes dismiss and due to the promise made with kaiikei, Ram has to go forest along with Lakshman and his beloved wife Sita. In the time of spending in the forest, the king of Lanka comes due to hunting the one beautiful deer and he saws the beautiful Sita and decided to kidnap. He has tried to kidnap Sita in normal figures when she is alone, but due to the circle boundary was given by Lakshman, and no one can cross this line except Rama and Lakshman. After the Ravana, the king of Lanka changes his body in the figures of sants and kidnapped her. After the kidnapped of Sita, Ram searched everywhere but nowhere he gets and found a site and knew the news that Sita was kidnapped by the demon king Ravana. this all news was forecasted by jatayu. The every planning and ideas started to bring Sita from the trap of Ravan. The war starts between Ram and Ravan after the death of different warriors. In the last. The war was very dangerous and the Ravan was granted the boon by god shiva, he will not kill until the arrow is not pointing in downward the head because Ravan has sixteen heads. And Ram knows this secret by the Ravan brother’s division and finally y the Ravan killed by Ram. The victory of purity and truth wins the battle. All the voice are loudly crying in the land of Ayodhya that his king has killed the great demon Ravana. News of returning Ram was spread even the fourteen years of banishment has finished and Ram also planned to return his kingdom. The people of Ayodhya becomes very happy and lits the lamps, oil lamps start singing the song of welcoming Rama in their kingdom again This is believed to have started the tradition of Diwali. Year after year this homecoming of Lord Rama is commemorated on Diwali with lights, fireworks, bursting of crackers and merriment. The festival gets its name Deepawali, or Diwali, from the rows (avali) of lamps (deepa), that the people of Ayodhya lit to welcome their King. The happiness is extremely shown on the face of people of Ayodhya. King Ram wear the crown of the king and started ruling the Ayodhya again with only the truth and pureness. No one was sad in the kingdom of Ram it is so said. Rama has kept all the persons making happy. This is the time of happiness when the people of Ayodhya have to make the decoration in Ayodhya, everywhere the color and different lights are burning, everyone is happy because their beloved king Rama is coming. So also this moment reflects the symbol of lights and gambling of all the wishes which are exchanged with the people of other and Rama. The great expectation of Ram is shown only by looking the decoration and burning the lights in every home. It is said in the Hindu epic that mother is treated as the goddess who always thinks happiness for ours. Mother is the root of love sea of caring and branch of giving the knowledge and providing the strength. Mother never thinks bad to their sons and daughter. She always worships well for their sons and daughter. So why the mother is also worshiped in the figures of a goddess. The unlimited love and blessing is the root and that is provided to their children. nothing and the bad spots will make you fall in a dirty hole if you are blessed by mothers. So mother also symbolizes as the figures of the goddess which also reflects the shadow of lights and love which is related to Diwali. as this festival also have the secret and purposes to celebrate it is the goddess Lakshmi birthday. People everyone wants the wealth and wants to become rich quicker and quicker. People so also worship goddess Lakshmi because this is also the festival of becoming the rich by making happy with your celebration to goddess Lakshmi. Goddess Lakshmi is the bank and sea of wealth. the people want to sacrifice their sorrows in the anchal of goddess Lakshmi and want only happiness in their life. The Hindu scriptures tell us that both Devas(gods) and Asuras (demons) were mortal (Mrita) at one point in time. Seeking a deathless condition (Amarattva), they churned the ocean to seek Amrita, the nectar of immortality (an event mentioned in the Hindu scriptures as “Samudra-Manthan”), during which a host of divine celestial objects came up. Prime among these was Goddess Lakshmi, the daughter of the king of the milky ocean, who arose on the new moon day (Amavasya) of the Kartik month. She was subsequently married to Lord Vishnu on the same darkest night of the year and brilliant lamps were illuminated and placed in rows to mark this holy occasion. Goddess Lakshmi celebrates her birthday every year in Diwali with their favorite devotees. Devotees are treated as the greater than the god. This reasons also focus on the reasons for celebrating Diwali as the festival of lights.